Are you considering adding a modern solar power collection system to your home or business property? Millions of homeowners around the world have already discovered the benefits of adding solar to their home’s existing electrical system. And while it isn’t right for every property, a properly installed solar system can greatly reduce a building’s monthly heating cost and add to the value of the property. 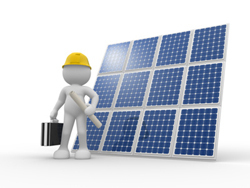 The typical home or business property solar energy installation isn’t cheap. It’s a substantial cost. But it is also an investment that not only reduces future energy costs, but also increases the value of the property it is installed to. Fortunately, prices of the equipment used in these installations have fallen in recent years, so costs in 2014 are the lowest they have ever been. How Much Can I Save Each Month? A building’s roof structure, southern sky exposure, amount of daily shade and energy usage are all factors in determining how much electricity can be produced and saved each month. An experienced advisor can visit your home and put together a realistic energy savings estimate. While each situation can be different, the majority of residential installations involve placing a small number of photovoltaic (PV) panels on the roof of your house. These PV panels collect the sun’s energy and turn it into DC current. This DC current is converted into AC current and channeled into your home’s electrical panel where it is combined with the electricity coming from your utility company. Installing a solar energy system doesn’t disconnect you from your local electric grid, it just allows you to produce your own energy and simply add it into your home’s supply. 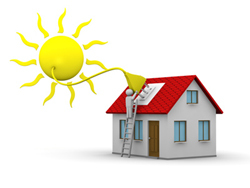 During a sunny day, you may produce more electricity than you need. In some locations, the local energy utility may actually “buy” this energy back from you, and remaining on the grid allows you to access electricity at night or during rainy weather. Solar can work in most residential and business property situations, but the best way to find out if your property is a good choice is to have a short talk with a professional installer. These advisers are experienced in determining if a home or business is a good fit for such a system. And after taking a look at your property and asking you a few questions, they can give you an estimate on what they recommend, which will include an estimate of your costs, the availability of government rebates and tax credits, and how much your monthly electrical savings will be as well. It doesn’t cost anything to find out more. 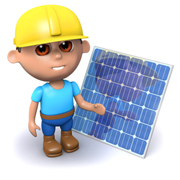 This site is intended to provide some basic information about solar energy and how homeowners and business property owners can get started with it.